Marled is the new Black. I don't wear a ton of black-- I tend to favor navy just because it's a little less harsh but there's something so classic about a white/black/gray look. It's so clean. Marled fabrics are made from two different colored yarns woven together that create a textured appearance. 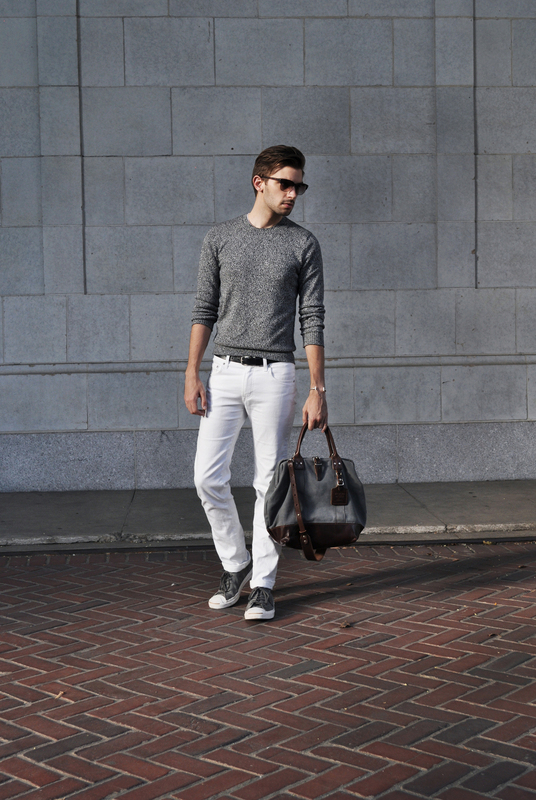 They come any range of colors, but they're definitely a Fall trend this season in Men's heavy knits and sweaters. It adds a bit of visual interest to an otherwise simple silhouette. 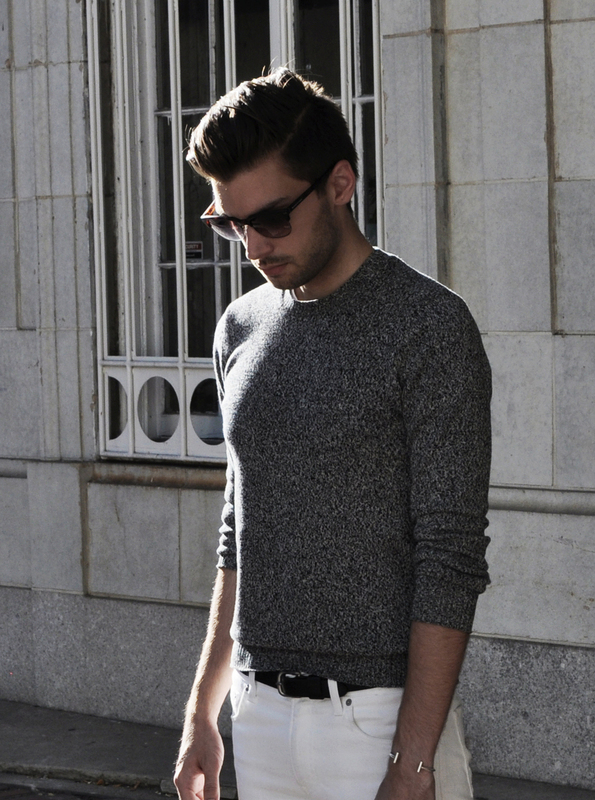 This sweater is made from black and white threads that when woven together look gray. Just wait. Before you know it I'll be wearing all black... Or head to toe marl.